These two give off so much joy. It's impossible to be around them not finding yourself grinning from ear to ear. Can't wait to share more from this fun couple -getting married in an apple orchard has to be on a top 10 list of beautiful places to marry. More to come. Oh! and the bride's shoes?! Bedazzled converse. These guys are awesome. Can't wait to share this beautiful wedding. More soon! We're looking for a couple madly in love and a lovely solo lady for a wedding shoot this Sunday, April 12th. It's going to be amazing. No experience necessary. What: Gown, professional hair and makeup provided. You'll receive photos as compensation. Contact me and send a photo of yourself and your stats: hello@elmandolive.com. Thanks!! What an absolute joy this family is. 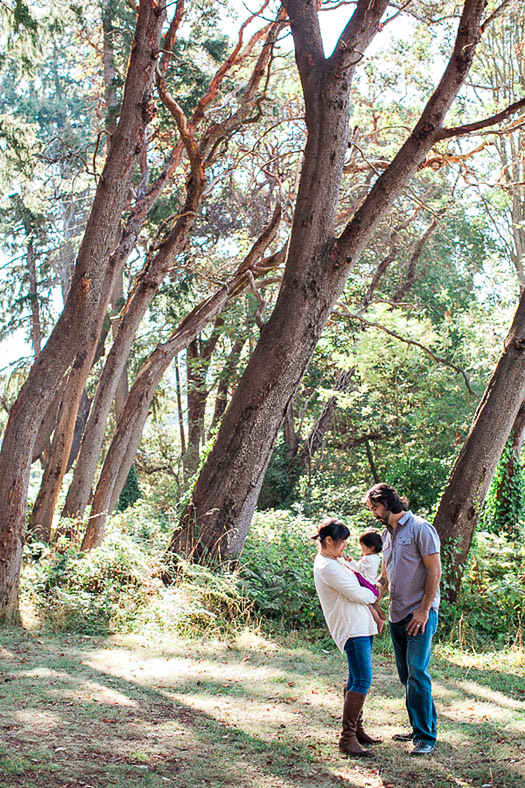 We met up on a lovely morning last summer at Lincoln Park in Seattle. Being from Bellingham, I always get excited to shoot in places that are new to me. We played away the morning and even got the pups in and some Seahawks love! This little sweet pea and my Finn are really close in age, it was fun to chat all morning about our babies. She seriously captured my heart -she was so happy!! 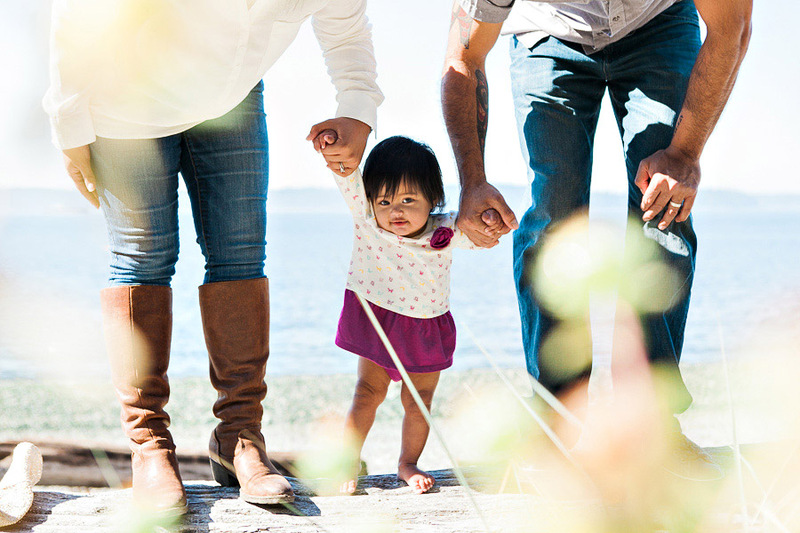 Thank you, Sunde family for allowing me to photograph this special time in your family's life. I am thrilled to announce that Elm & Olive made the list for Best of 2015 weddings for The Knot! What a huge honor! I couldn't have done this without such incredible couples over the years. I am seriously so fortunate to have your support. Looking forward another great year of telling love stories. Elm & Olive is coming to the Bellwether! What are you up to Wednesday, November 5th? Come to Hotel Bellwether from 5-7 to meet Elm & Olive! There will be many wonderful local wedding vendors to meet and greet as you enjoy a mock cocktail hour! No need to RSVP, stop by and say hi! I can't wait to meet you! Ever After Events | Zeina from Ever After Events is awesome! She does beautiful design work and have so many great ideas! Botanikal Floral Design | Colleen from Botanikal does GORGEOUS flowers. She's a must for any wedding. I'm finally getting caught up with blogging and it was a treat to relive this session!! Oh Amber, you are gorgeous. This beautiful senior and I played the afternoon away at a charming orchard near Bellingham. There's just something magical about orchards, isn't there? We had beautiful soft light for Amber's session and she seriously rocked it. She's not only such a sweet girl but hilarious and beautiful to boot! Oh and check out her awesome tattoo! 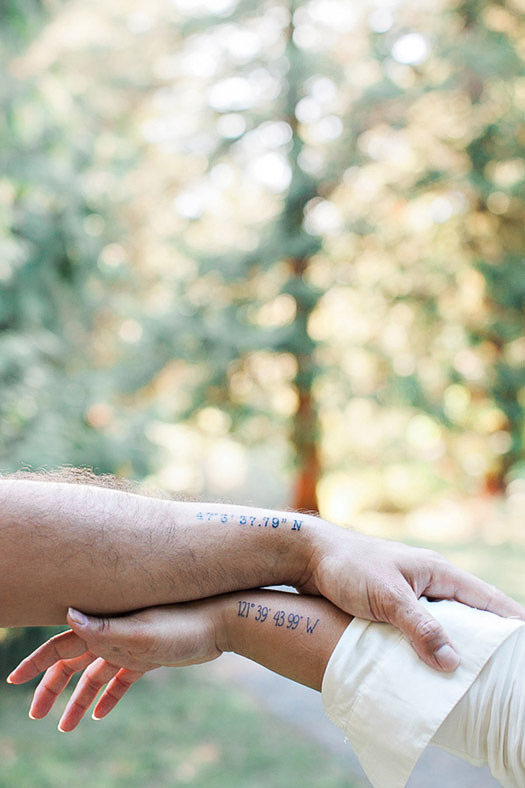 I'm completely swooning over every detail of this San Juan Island wedding. Can't wait to share more. Here are a few of the gorgeous bride and groom. How beautiful is her floral wreath?! The two are getting married tomorrow and I am so excited! 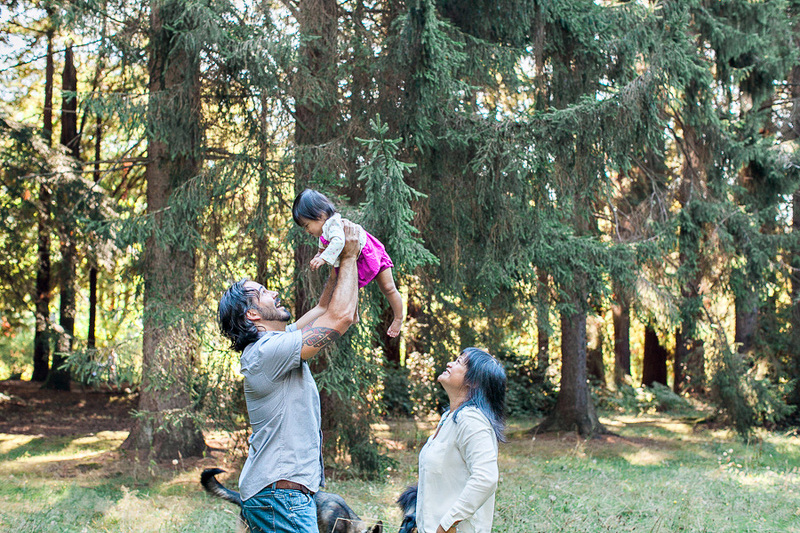 We captured their engagement session at Woodstock Farm in Bellingham and hung out with their adorable pups. I've been excited for their wedding all year. It's going to be a seriously good one. 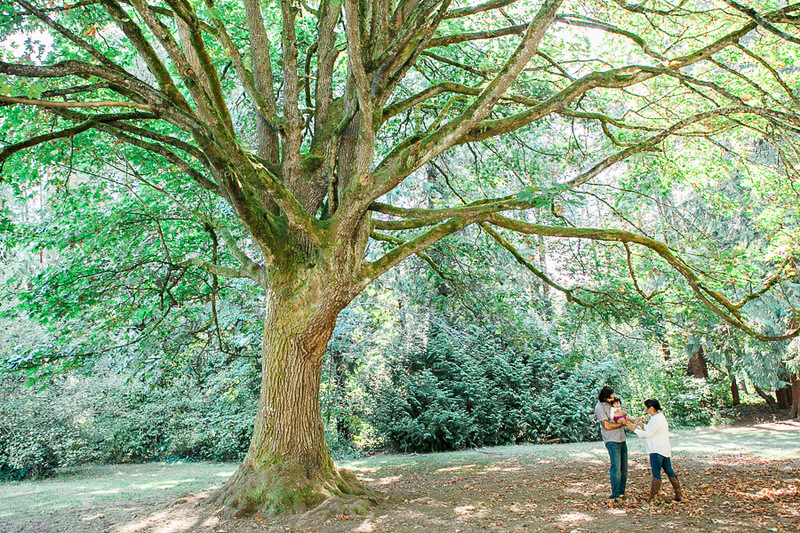 This wedding in Snohomish was truly authentic and beautiful. And such an amazing ceremony! Can't wait to share this one. A little glimpse into a recent wedding in Anacortes. This venue, Greenfield Farm and Gardens, was seriously awesome. Stay tuned for many more! Tiffany and Casey are such a great couple and their wedding was so fun. The bride got ready at Hotel Monaco in downtown Seattle and you could just feel the anticipation in the room. Tiffany loves books and we were able to inclue her love for reading in both their engagement session and their wedding. We went on a serious book tour, first the University of Washington library for their engagement session and then the Seattle Public Library for their first look. I could not think of a better place to have this special moment. Towering above on the top floor of the library, their first look took my break away. We played in downtown with their wedding party and headed over to the Swedish Cultural Center for their ceremony and reception. What a great day that celebrated this awesome couple. Thanks for including me in your special day guys! A few early looks for Tiffany and Casey's wedding. It was such a beautiful day. We explored the Seattle Public Library and had a blast. Stay tuned for more from this fun wedding! I have so many shoots that I need to post. Here's a sneak peek at a lovely shoot from last year. Many more coming soon! The sweetest package was delivered yesterday. A former bride knit this adorable hat for little Finn! Man oh man, I have the best clients ever. Thank you so much, Jenica!! colette + ryan. [wedding photograph] evergreen gardens. This wedding was dreamy. Evergreen Gardens is a stunning venue in Ferndale, WA. The property is surrounded by impeccable gardens and towering evergreens. There's a covered pavilion, gorgeous covered arch ways, playful swings, and the whole place feels like you stepped into The Secret Garden. It also has separate places for the bride and groom to get ready. This made it so easy to capture getting ready shots and head out to photograph their beautiful first look on the grounds. Having everything in one location is such a bonus when planning logistics for a wedding day. I started photographing the beautiful bride, Colette, in her getting ready room and had fun shooting her wedding details around the gardens. The first look happened in a private area of the many gardens and pathways. Ryan's expression when he saw his bride for the first time was beautiful. This is often my favorite part of a wedding. There are no words to describe the look on a bride and groom's face when they see their beloved. Most couples are choose to have this first look be an intimate time for the couple only before the ceremony. I love the first look for so many reasons but I would say that for photography, it's particularly great because it allows for all formal portraits to happen before the ceremony. After the bride and groom have seen each other, the bride/groom portraits, the family portraits, and the wedding party formals can all happen before the ceremony. After you say 'I do,' you can all immediately start celebrating with your guests at the reception. It was one of those days where we all thought a major rain storm was coming. The bride was prepared with many white umbrellas and even had the ceremony set up in a alternative covered area. With all of these precautions taken, the sun decided to come out and we never felt one drop. About an hour before the wedding ceremony, the couple made the call to move the ceremony to its original outdoor location. Everyone pitched in a before we knew it, a gorgeous outdoor wedding was taking place. The bride and groom planned for such a beautiful wedding and reception. Their dinner was spectacular (if you're looking for a caterer, check out Memorable Events and Catering). There were wine and cheese pairings, a decadent spread of food and dessert (start drooling at the photos below) all with suggested wines. Mmmm. After dinner, guests could relax around the grounds and enjoy s'mores and drinks by the camp fire. A friend of the couple's performed some beautiful music. What a wedding. I was honored to photograph your big day, Colette and Ryan! Caterer: Memorable Events and Catering located in Ferndale, WA. I can't say enough positive things about Memorable Events. Their food was divine. Wedding cake and dessert table: Pure Bliss Desserts located in Bellingham, WA. Mmmm. Many of you have watched my pregnant belly grow over the past year. It is my great honor to announce the arrival of Finnegan Rye! He was born January 17, 2014 and is the cutest, most delightful baby. Nate and I are over the moon with our first child. Who knew your heart could expand this widely. I am loving being a momma and getting to know our little boy. Here's a peek at sweet little Finn. lindsay + andrew. [wedding photography] squalicum boathouse. Lindsay and Andrew are an awesome couple. I loved so many aspects of their wedding. Lindsay started her day getting ready at her parent's gorgeous property. They have the most incredible tomato green house that I immediately feel in love with and knew that's where I wanted to shoot the bridal dresses. I love being surprised by these kinds of details on a couple's wedding day. I have the best clients in the world who are easy going and up for any suggestions. Lindsay got ready for her big day with her bridesmaids and afterwards we ran outside to play on her parent's property. Apple trees, a horse, lots of lush space and the most beautiful bride with her bridesmaids. We could have stayed and shot there for hours. The bride then headed to The Squalicum Boathouse for the couple's ceremony and reception in a lux limo. Nothing's better than really celebrating the wedding day with these kinds of finishes. The Boathouse is located on a marina in Bellingham and the photography possibilities are endless. We explored around the marina for Lindsay and Andrew's bridal and wedding party portraits. It's a blast to combine a beautiful bride and groom with the roughness of a marina. In my opinion, playing with textures and these unique details takes wedding photography to the next level! The couple had a beautiful ceremony and great feast afterwards. There were many sweet handmade details to the wedding and the light pink colors that were incorporated in the day it made the wedding feel romantic and light. The night ended with a foggy lantern send off. A perfect ending to a this charming wedding. I was honored to be a part of your day, Lindsay and Andrew, thank you for including me. Venue: Squalicum Boathouse at Zuanich Point Park in Bellingham, WA. Caterer: Rollin' Smoke BBQ in Bellingham, WA. Flowers: Triple Wren Farms in Ferndale, WA. If you're in the area, check out this farm for gorgeous flowers (and veggies). They even offer a flower CSA, how cool is that? kelsey + danny. [wedding photography] backyard wedding, ferndale events center. You know when you meet someone for the first time and it feels like you've known them for decades? That's how this whole wedding felt. Spending the day photographing Kelsey and Danny was like spending time with dear old friends. They were so easy going and we immediately clicked. Even though this was a large wedding, it felt so intimate. Kelsey and Danny are very loved -it showed in every detail of their wedding. Ok, let's get to it. Kelsey and Danny were married at Kelsey's childhood home just outside of Bellingham, WA. I love when brides and grooms have meaningful locations for their wedding. It adds such intimacy to the wedding photos. The wedding rocked a spunky and surprisingly sweet goat, Trevor, you will see below. Although to be fair, I honestly don't know any other goats. During the ceremony, I ventured into Trevor's pasture to get some wide shots and he was very welcoming. A fun first. Also, how gorgeous is Kelsey's wedding dress?! It was simple and vintage feeling. So good. Be sure to check out the surprise dance Kelsey and her bridesmaids performed for the boys. It was amazing. And as for the guys, check out the love note Danny wrote to Kelsey. On a mirror. In lipstick. Such a sweet surprise for his bride. I could go on and on about this wedding. Keep your eyes peeled for more deliciousness when I share Kelsey and Danny's after wedding session. 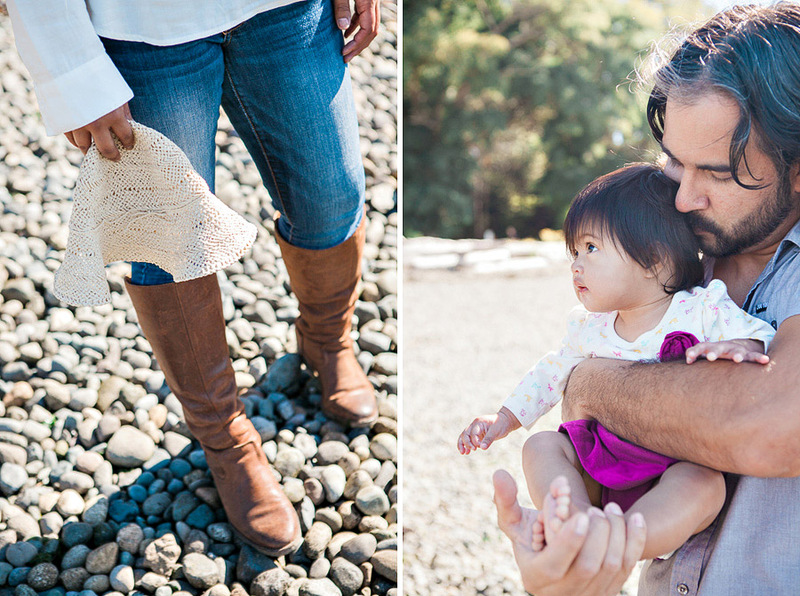 This is a fun alternative to engagement photos. Without further ado, please enjoy. Reception venue: Ferndale Events Center. Ferndale, WA. Wedding coordinator: HM Wedding Planning. Heather MacKay. Bellingham, WA. DJ: Andrew Bethman. Ferndale, WA. Caterer: Sandwich Odyssey. Bellingham, WA.